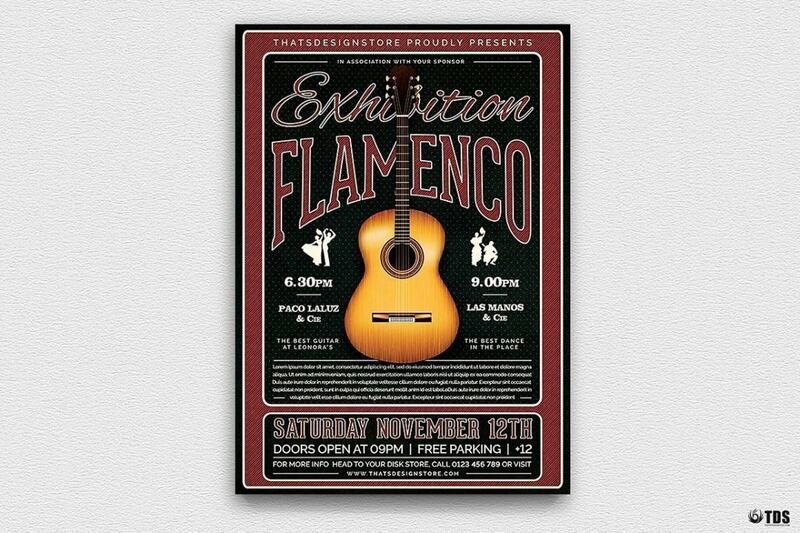 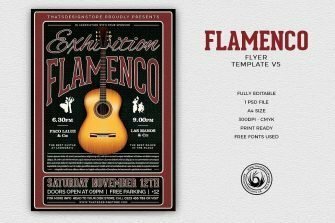 Check out this Flamenco Flyer Template psd 5 designed to promote Flamenco Show. Such as Spanish concert, festival, party or weekly event in a music club and another kind of special evenings. Customize your Photoshop psd flyer template easily.